The works within skowheganBOX no.2 represent a new generation of American artists who use photography as an integral part of their practice, but are interested in expanding its boundaries and blurring or combining technical approaches. Each archival box, hand-made by Sophia Kramer, contains one unique hardcover artist book by Lucas Blalock, a diptych by Brian Bress, one unique parametric print by John Houck, and one hand-folded C-print mounted on museum board by Letha Wilson. Sales benefit Skowhegan scholarships and programs. In 2015, BOX no.2 was acquired by the Whitney Museum of American Art and the Portland Museum of Art. Recently, Lucas Blalock and John Houck were included in Ocean of Images: New Photography 2015 at the Museum of Modern Art; Letha Wilson had a solo presentation with Higher Pictures at the New York Armony Show; and Brian Bress's work is the subject of a solo exhibition on view at the Museum of Contemporary Art Denver. Read an essay by Sreshta Rit Premnath (A '09) on skowheganBOX no.2 in the 2014-2015 Journal. Letha Wilson (Skowhegan class of 2009) presents individually hand-folded C-prints titled Headlands Golden Cement Fold (2014). Each work is hinged to museum board and set in the BOX within a custom-made, archival tray. In Wilson’s work, sculptural interventions converge with landscape photographs. A recent series of color photographs are dipped into white Portland cement that cracks off when dried, leaving a residual white remnant on the surface of the image. For BOX no 2. Wilson continued in this vein. She selected a photograph of a sunset taken in California, printed the image in the darkroom, and then folded the work before dipping it in concrete. The folds dictated the way the cement crept over the image that was then flattened back out, scanned, and reprinted as an edition of digital C-prints. Each individual print was subsequently accordion-folded by hand along the original fold lines, mimicking the earlier version. Although the final work retains the three-dimensional aspects of the original, the white cement residue is only a photographic illusion. Wilson received her BFA from Syracuse University (1998), her MFA from Hunter College in New York (2003). Solo exhibitions include Higher Pictures, New York (2014 and 2012); Galerie Christophe Gallard, Paris (2014); and Art in General, New York (2013). Recent group exhibitions include Hauser & Wirth, New York (2014); The Studio Museum in Harlem (2013); the Tang Museum at Skidmore (2013); and Brooklyn Academy of Music (2011). Wilson has been awarded artist residencies at Yaddo, The Farpath Foundation (France), Bemis Center for Contemporary Arts, Headlands Center for the Arts, and the Marie Walsh Sharpe-Walentas Studio Program. In 2014 she was awarded a Jerome Foundation Travel Grant, and in 20143 she was selected as the Deutsche Bank Fellow for the New York Foundation for the Arts Fellowship in Photography (2013). Wilson lives and works in Brooklyn. Headlands Golden Cement Fold (2014), C-print, mounted on museum board (edition of 25, hand-folded), 16 x 12 x 5/8 inches. Each box contains one. John Houck (Skowhegan class of 2008) offers a new body of work that expands upon his Aggregates series. Entitled Variable Shadow #1 *(2014), the series of parametric prints, printed by the artist, offers unique variations within a defined set. In *Variable Shadows, Houck used the process the process of silk screen for the first time. He created two silkscreens, one of a shadow and the other of a combinatorial pattern from the Aggregate series. The screens were produced fives times the size of the final print size; the large size allowed the shadow and Aggregate patterns to each be turned at a different angle each time they were printed. In this fashion, Houck was able to create a variable edition where each silkscreen is unique. However, the paint built up as he printed the edition; thus, the edges from prior prints are ghosted in each subsequent print. Houck has an MFA from UCLA, Los Angeles, CA (2007) and a BA in Architecture from Colorado University, Boulder, CO (2000), and he participated in the Whitney Independent Study. Recent solo exhibitions include On Stellar Rays, New York, NY (2013) and Max Wigram, London, England (2013). Recent group exhibitions include LACMA, Los Angeles, CA (2014); Marianne Boesky, New York, NY (2014); Hauser & Wirth, New York, NY (2014); Max Hetzler Gallery, Paris, France (2014); Marian Goodman Gallery, Paris, France (2013); Balice Hertling Gallery, New York, NY (2013); Redling Fine Art (2013); On Stellar Rays, New York, NY (2012); Luis de Jesus, Los Angeles, CA (2012); Tony Wight Gallery, Chicago, IL (2011); Art in General, New York, NY (2010); The Kitchen, New York, NY (2010); Hammer Museum, Los Angeles, CA (2007); Orange County Museum of Art, New York, NY (2006). Houck lives and works in Los Angeles. Variable Shadow #1 (2014), Acrylic silkscreen on archival pigment print on 100% cotton rag, 17 x 12 inches. Each box contains one unique parametric print. 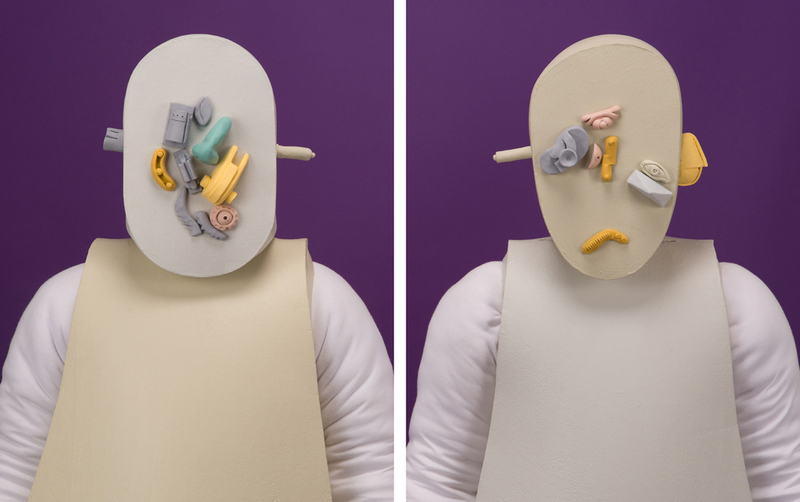 Brian Bress (Skowhegan class of 2007) contributes two portraits titled Organizing The Physical Evidence (2014), a costumed pair that are reflective of the absurdist characters who have populated his work for the past several years. Known for incongruous juxtapositions and brash experiments across medium, Bress frequently marries drawing, painting, video and sculpture to create layered works that unfold over time. In the photographs for BOX no.2 his prop-laden figures are depicted in a suspended state of transformation that is quietly, and powerfully, affecting. Bress received his MFA from the University of California, Los Angeles (2006), his BFA from Rhode Island School of Design (1998). Solo exhibitions include the Utah Museum of Fine Arts (Salt Lake City, UT, 2015) and the Museum of Contemporary Art Denver (Denver, CO, 2016), as well as Cherry and Martin, Los Angeles (2014). Bress has recently had solo exhibitions and projects at the Los Angeles County Museum of Art (Los Angeles, CA); Museo d'arte contemporanea (MACRO) (Rome, Italy); Santa Barbara Museum of Art (Santa Barbara, CA); and New Museum (New York, NY). Bress lives and works in Los Angeles, CA. 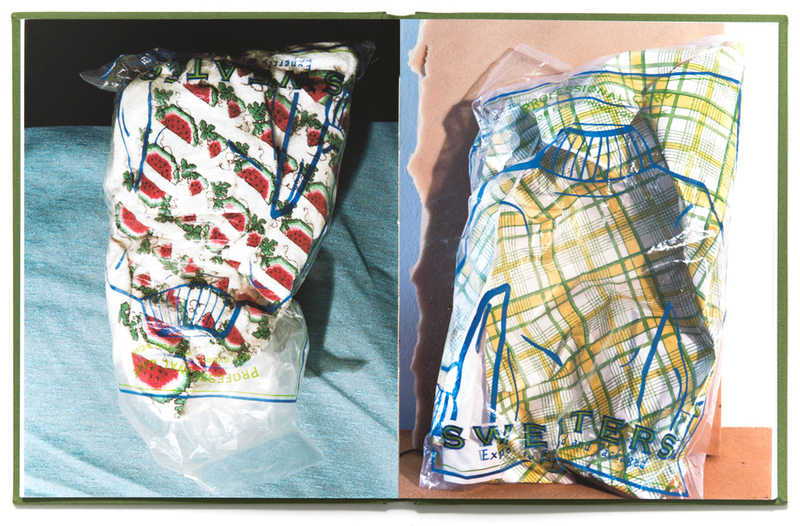 Organizing the Physical Evidence (2014), Diptych, Archival inkjet print, 14 x 11 inches, each. Each box contains two prints. Lucas Blalock (Skowhegan class of 2011) presents THIMGS (2014), a series of unique hardcover books in three sizes. Each set in BOX no.2 contains a single book with one photographic spread, printed by the artist, and then hand-bound into a book made by Biruta Auna with a foil stamped cover designed by Blalock. The artist has a penchant for finding and photographing inexpensive objects that feel wrongly situated in front of his camera where they are lavished with attention. His aim is to frustrate the immediacy and alleged veracity of photography, and to collapse the distanced gaze into a kind of visual touching. The artist noticeably retouches his pictures through digital interventions that are at once flatfooted and sophisticated, taking composition, pattern and color into careful consideration. His project for BOX no. 2 pushes beyond reproduction and presents an individual photograph or pair of photographs as a discrete state that takes the form of a book. 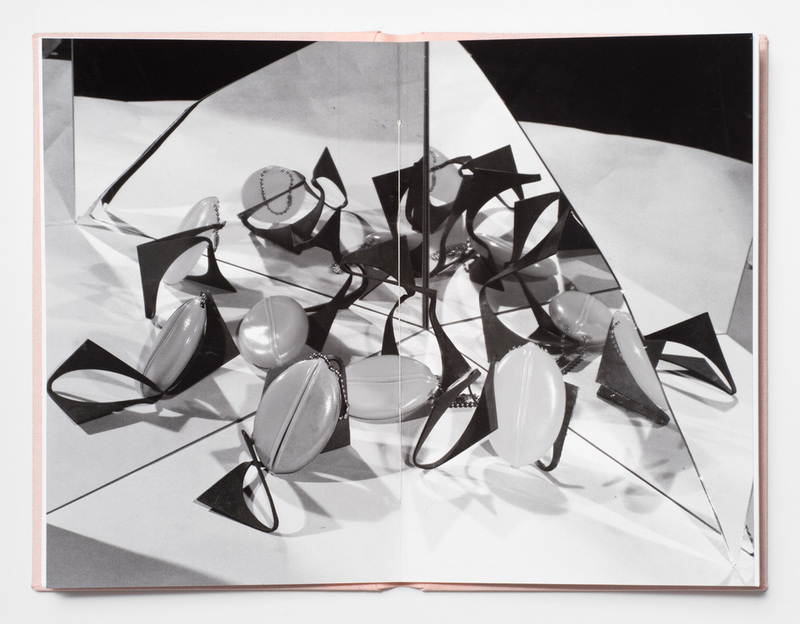 Exploring the tension between photograph, book, and sculptural object, the obsessively crafted volumes are an opportunity to engage with Blalock’s distinctive, irreverent images in an intimate and layered form. Blalock earned a BA from Bard College (2002) and an MFA from UCLA (2013) Solo exhibitions include Id. Ed. Ad. Od. (2013) and xyz (2011) at Ramiken Crucible, New York and Inside the White Cube (2013) at White Cube Gallery, London. His work has been included in exhibitions at Hauser & Wirth, New York; New Pictures of Common Objects at MoMA PS1, New York (2013); Second Nature: Abstract Photography Then and Now, at DeCordova Sculpture Park and Museum, Lincoln, MA (2012-13); and Towards a Warm Math, curated by Chris Wiley, On Stellar Rays, New York (2012). Blalock lives and works in Brooklyn, NY. THIMGS (2014), Unique hardcover artist books in three sizes, 7 5/16 x 4 13/16 x 7/16 inches (pink), 8 7/16 x 6 10/16 x 7/16 inches (green), 9 5/16 x 7 7/16 x 7/16 inches (yellow), printed by the artist and hand-bound by Biruta Auna. Each box contains one unique book. See other benefit prints and artist editions in our online print shop.